Typically the Warren County Soil & Water Conservation District’s annual seedling sale has a few trees and shrubs leftover. In order to preserve these specimens the District had started a small arboretum and garden on the grounds to grow the specimens for use on one of the many erosion control projects we work on each year or they are donated for community plantings. In 2018, after staff hand tilled a 400 sq. ft. field plot and planted these homeless bare root specimens, employees came into work on the following Monday with the intent of watering the plants. Instead they found nearly fifteen one-foot-diameter soil craters with broken and torn sapling roots, revealing they had been stripped from the ground. » Continue Reading. 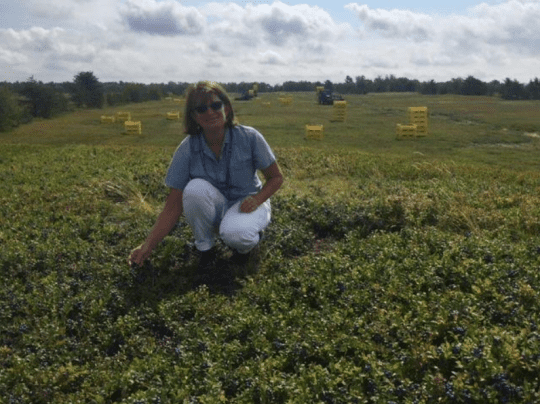 The presentation, by Laura McDermott of Cornell Cooperative Extension’s Eastern NY Commercial Horticulture Program, will include sustainable methods for growing blueberries, brambles, honeyberries, and juneberries. » Continue Reading. 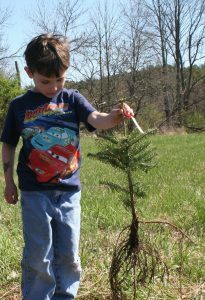 The Annual Warren County Tree and Shrub Sale is now underway. The sale has a variety of deciduous and evergreen seedlings, conservation and wildflower packs and locally made bird and bat houses, available for order until March 16th, 2018. Purchases help improve and protect the natural resources of Warren County. » Continue Reading. The Warren County Soil & Water Conservation District is continuing its fifth year of Farm Talks on Friday, January 12th from 6 to 8 pm at DEC’s Warrensburg Office, located at 232 Golf Course Road. The first presentation of the night will be “Setting Up No-Till” with certified organic mixed vegetable farmer, Rand Fosdick of Landon Hill Estate Farm. Setting up no-till vegetable beds plus the care and maintenance are important to increasing soil health which in turn increases plant health. Healthier plants have better disease and pest resistance and healthy soil reduces erosion, compaction and nutrient leaching. With proper no-till techniques and care, weed suppression and removal becomes less laborious. 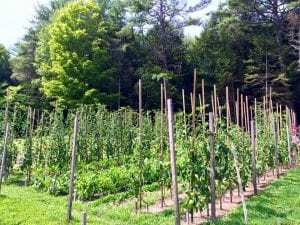 Attendees can learn Fosdick’s no-till process for growing healthy organic vegetables. » Continue Reading. Warren County Soil & Water is continuing year four of its “Farm Talks” on Friday, February 17th from 6 to 8 pm at DEC’s Warrensburg Office, 232 Golf Course Road. The first presentation of the night will be “Growing Shiitake Mushrooms” with Casey Holzworth from Kelsey’s Quarter Acre Farm. 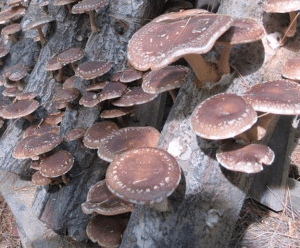 Shiitake mushrooms are a relatively easy addition to any small farm or home garden and they can grow in inoculated hardwood logs like oaks, maples, or ironwood. Casey’s presentation will cover growing environments, usable logs, inoculation of logs, growing climates, and harvesting. Mushroom cultivation is growing in popularity due to the market response and limited space needed to cultivate. » Continue Reading.